While we are indulging in the newest spring trends, the designers are already showing pre-fall 2014. And one has absolutely caught my eye: MOSCHINO. With Jeremy Scott being now being at the helmet of the brand (he was an intern once), there is a creative director, who knows how to live up to the humorous take the brand is famous for. I am convinced that founder Franco Moschino, who died in 1994, would have loved those “jacket bags” and “biker backpacks“. OMG! To die for! Everything that Scott showed has been “molto italiano“. I just love it! And you see, I told you, you shouldn’t have thrown out your Moschino logo belt and bag. I kept mine and here I go! 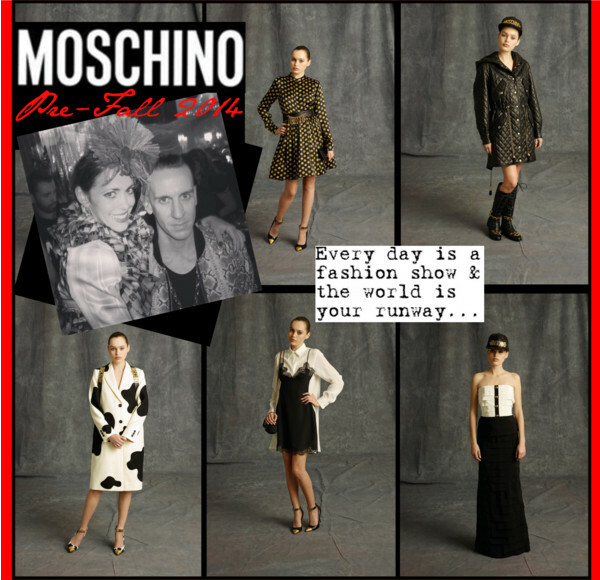 TO SHOP MOSCHINO’S LOGO MUST-HAVES, PLEASE CLICK HERE.